I cannot wait to read this book! I finished Hex Hall last week, (which I LOVED! ), and I'm anxious to see what's going to happen in Demonglass!! I loved Hex Hall and I can't wait for Demonglass! Great Pick! OMG this book was so good. If you think HH was good, Demonglass was better! You can read my spoiler-free review. Hope you get to read it soon. @Katie- Thanks! I can't wait for next week to get here! @The Book Vixen- Glad to hear it was good! I'm looking forward to getting it. I'm going to read your review NOW! Great, now I have to actually read Hex Hall instead of letting it sit on my Kindle for a while. Then I have to buy Demonglass because sequels are duh, gotta haves. Quit with the recommendations, people! I didn't do my usual Wishlist post this week since I made out like a bandit at a Borders sale, but I did a Non-Wishlist post which is my first ever non-review post. Thinking about doing more, it's just a "thing" if anyone's interested in reading, it's not a usual stop, I just thought I'd mention it as I drop by my usual Saturday Wishlist places. I still have Hex Hall just begging to be read on my bookshelf...I must fix this fast I have heard such great things about both books. I hope you enjoy it when you do read it! Looking forward to the Hex Hall series too! 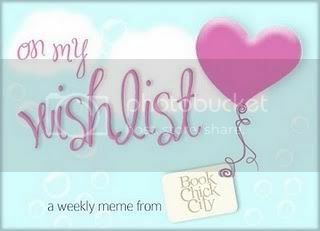 I have four wishlist books at home right now to read. Come see what I'm wishing for. 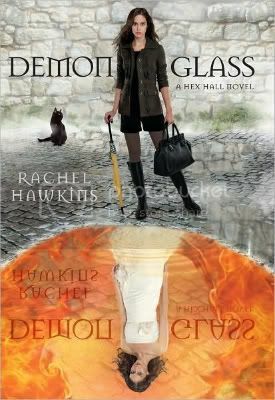 I really enjoyed Hex Hall and I've heard Demonglass is even better! I can't wait to read it and find out :) Lucky you only just finished Hex Hall now. I've had to wait with that cliffhanger for ages! Demonglass can't come out fast enough. The cliffhanger is killing me, and it's only been a week! I can't imagine having to wait any longer! Ah!